Northern Territory Chief Plant Health Officer Anne Walters said the latest detection in Wanguri is directly linked to the original infected property, and was identified due to the tracing work being undertaken as part of the response. “All the infected plants discovered to date are nursery stock that was sold in the last 12 months, which is great news as there is still no evidence to suggest that there has been any natural spread of the disease,” Ms Walters said. The infected plant and another potted lime plant have been removed from the property under strict quarantine conditions by authorised citrus canker inspectors. An additional restricted area, including movement restrictions for citrus and host plants and material, has been established in the area around the detection, and the new Wanguri restricted area map can be viewed on the department’s citrus canker web page. “Residents living within the new Wanguri restricted area will soon be contacted by the emergency response team, and surveillance officers will begin visiting properties within the restricted area to conduct inspections and ensure there has been no spread of the disease,” Ms Walters said. 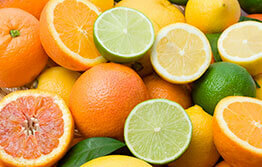 The new restricted area does not impact any commercial citrus growing areas. The Wanguri restricted area is within the already established greater Darwin Control Area that was gazetted on 21 May 2018. Citrus Australia CEO Nathan Hancock commended the work of the surveillance officers and the local community’s support. “Community support in Darwin and across the NT and north of Western Australia is so important to the successful eradication of canker. People living within citrus canker restricted areas are reminded not to collect samples, or move or remove plants themselves, but to call the citrus canker hotline 1800 931 722 to book an appointment with authorised inspectors. The citrus canker response recently entered a new phase, which has seen removal of citrus plants and plant materials, including fruit, leaves and pots from restricted areas commence, starting within the greater Darwin and Katherine region. “The community has been extremely cooperative and we really appreciate the efforts people have gone to in contacting the response team to arrange for the removal of their plants,” Ms Walters said. There are now 12 citrus canker restricted areas in the Northern Territory – 11 in greater Darwin and one in Katherine. If you think you live within a restricted area and have not been contacted by the citrus canker emergency response team please call the citrus canker hotline on 1800 931 722. Citrus canker does not affect human health or animals, and infected fruit remains safe to be consumed. Please contact the citrus canker hotline if you have any concerns or questions regarding this disease or if you wish to arrange an inspection of your citrus trees to ensure there is no citrus canker present. Thank you everyone who has already contacted the hotline. The Citrus Canker Response Team will be following up on all calls, early identification offers the best opportunity of containing and eradicating citrus canker from the Northern Territory.